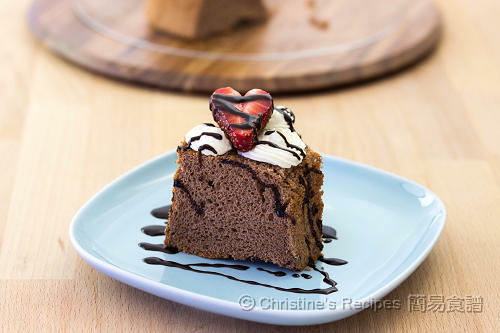 I have tried the Flourless Chocolate Cake, it is so tasty even I only used olive oil instead of butter. 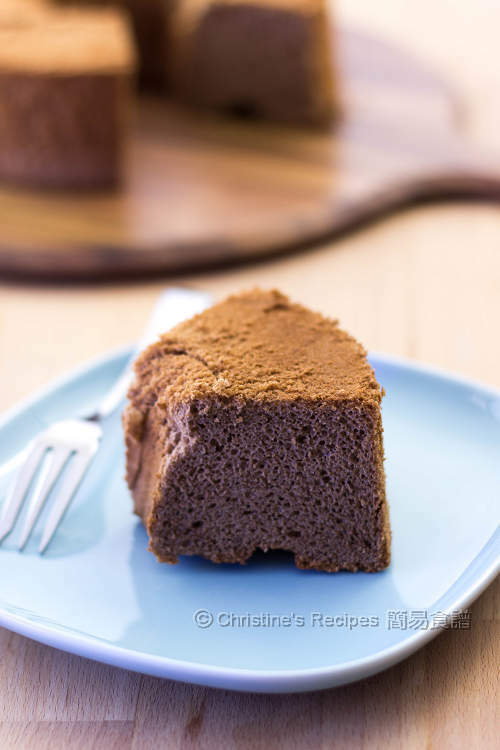 I tried this Chocolate Chiffon Cake but I don't know why it was so sour. I couldn't think of anything to make it sour but... Will you have any recommendation or idea about it? The cream of tartar is an acid salt that helps stabilize the egg whites. But only 1/3 teaspoon of it is very small amount. It couldn't be the cause, I believe. Could it be the milk that turned sour? Did you remember what else you have added to make the cake tasted sour? The milk is ok, I am still drinking it every morning. I am guessing hazel nut or the cream of tartar. Any way I am thinking to try it once more and see. I LOVE your receipts! Thanks so much for sharing for all these tummy receipts! 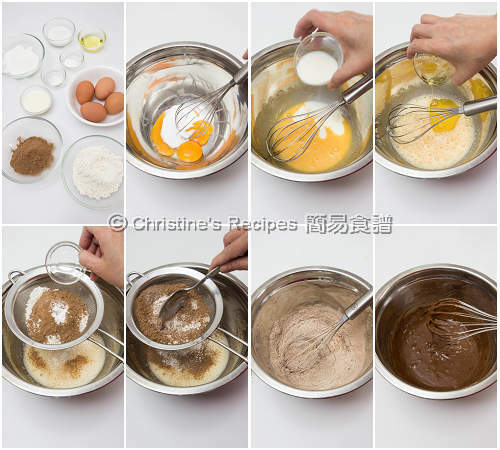 for this cake, did you use 6'' cake mold please? Yes, it's a 6" cake mould. I love this cake. I baked it on Chinese New Year for dessert. My father in law who doesn't like cake, sweet or pastry ate 3 pieces and took home the rest. It's very yummy cake. Can you tell me what size is your pan? 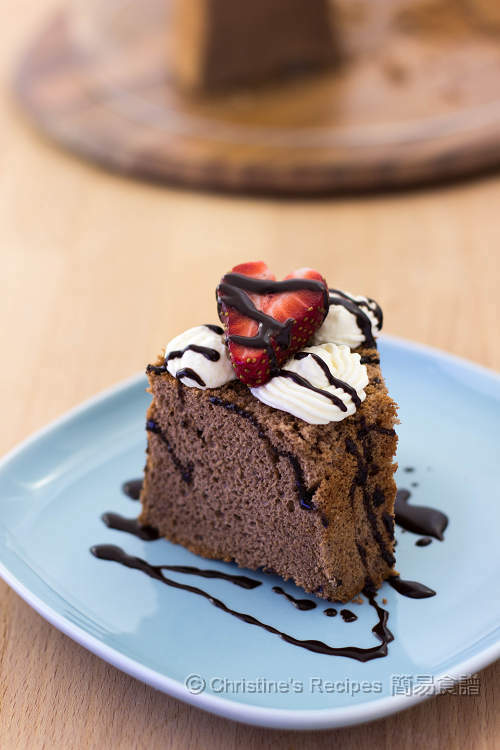 Hello, I love your blog so much >V<"
but just don't know why no matter I tried this Chiffon cake or the Japanese cheese cake, the outside can easily get a bit hard or even have crack on the surface while the inner part of the cake is still a bit wet. Highly possible that the temperature of your oven is too high, so that the outside is cooked or even burned before the inside is cooked through. Or because the heater of your oven is too close to your cake. If i din use olive oil wat can i replace ? 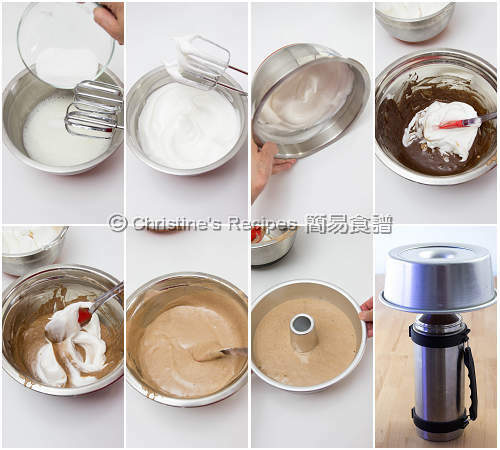 1st time i look your blog , Very nice the cake , jus wan to known if i din use olive oil wat can i replace ?wat is the difference self rising flour & cake flour ? You could replace olive oil with other vegetable oil or butter. you are good all the time! Thank you for ur awsome recipe !its awsome everyone loved it, ive chaged it to mocha powder and its awsome tooo ! But i would like to know can i bake it like cup cakes or muffin ? If so does the temp need to change? Can I use butter instead of olive oil? If yes, what should be the proper amount?